For those who enjoyed (or loved, like me) the Kite Runner novel or movie, this is for you! Ever since I read it in college I have loved it, Khaled Hosseini, and learning about the middle east. It even was part of my decision to focus the minor for my BA in middle east studies. This story is about Amir, a boy growing up in Kabul, Afghanistan, and how he and his family are affected by political turmoil in the 70’s. 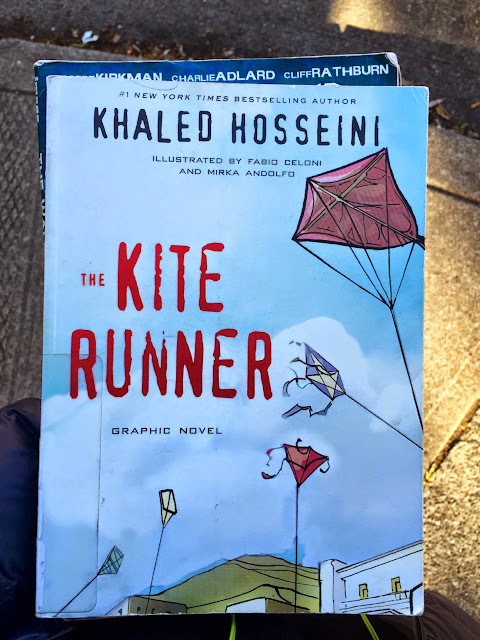 The political aspects largely direct the physical settings for the story, but it’s really about Amir deciding what is right and wrong for him and the way he wants to live his life. This is such an amazing story in a moving, thought-provoking, and painful way. As always I love visual takes on my favorite books and this one didn’t let me down. Even if you haven’t read the book or watched the movie, I think think graphic novel version covers enough that you can get a good feel for the story.